6 x 20g Pack Variety Assortment. Cup Characteristics: Smooth cup with exotic and earthy flavour notes. Infusion: Light amber, tending red. Cup Characteristics: Smooth and slightly sweet; toasty with a touch of dryness. Cup Characteristics: Wildly exotic. Toasty roundness with fruity jasmine notes. Stunning as an iced tea. 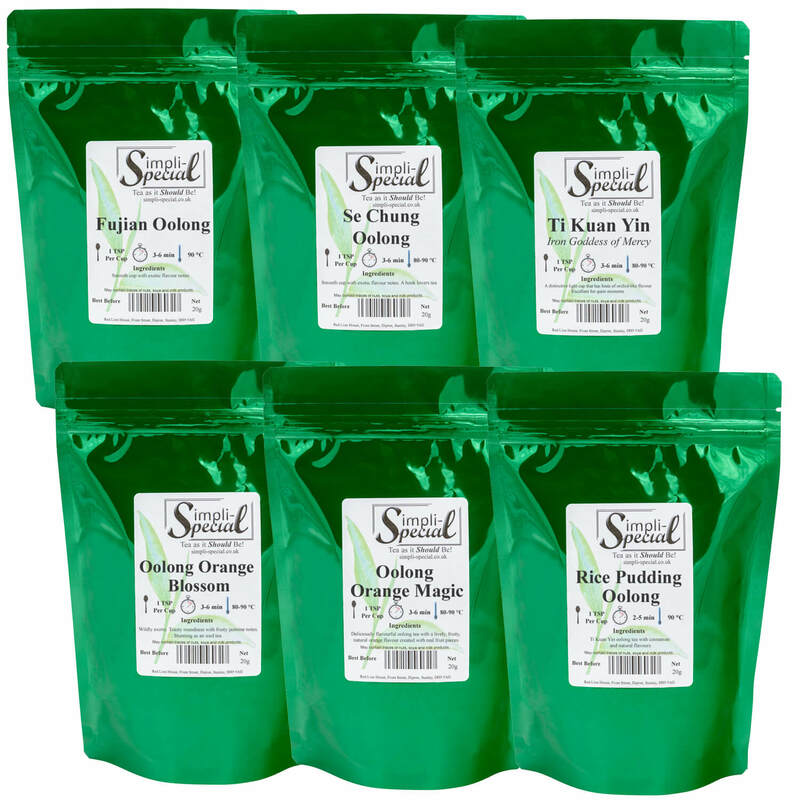 Ingredients: Luxury Oolong tea, Luxury black tea, Jasmine petals, Natural dried orange, Natural flavors. Cup Characteristics. Exquisite, earthy Oolong tea is enlivened with a lively, fruity, natural Orange flavour. Bring fresh cold water to a rolling boil. Place 1 teaspoon for each cup into the pot. Bring the water close to the boil (approx 180F or 90C) cover and allow to steep for 3 to 4 minutes - Do not remove the leaves from the pot because they can be used repeatedly until the flavour of the tea is exhausted. This makes Oolong, green and white teas much cheaper per cup than it would seem. Oolong, green and white teas are normally served without milk and sugar.